HomeAway Earnings: Will The Company Hit A Home Run? HomeAway, Inc. (NASDAQ: AWAY) is scheduled to announce its first quarter financial results after the market closes on Thursday. 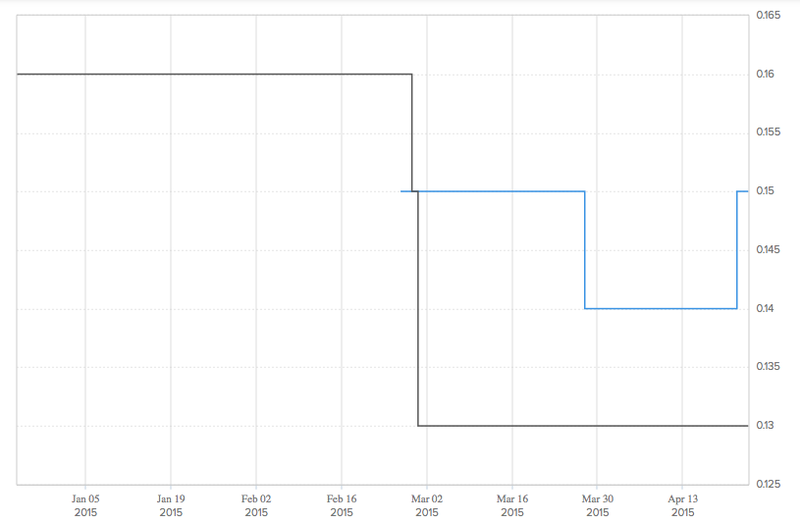 According to Estimize, both the crowd and Wall Street analysts expect pretty much flat year-over-year earnings growth. The Street models EPS of $0.13 on revenue of $119.85 million and the crowd projects EPS of $0.15 on revenue of $120.95 million, compared to $0.14 reported in the first quarter of 2014. The company did not provide earnings guidance, but did guide revenue of $119.75 million. It's also possible to see how estimates have changed over time. While the Street’s estimates fell more than 18 percent over the quarter, the crowd’s projections remained pretty much flat, although they experienced a tumble over April, from which they recently recuperated. 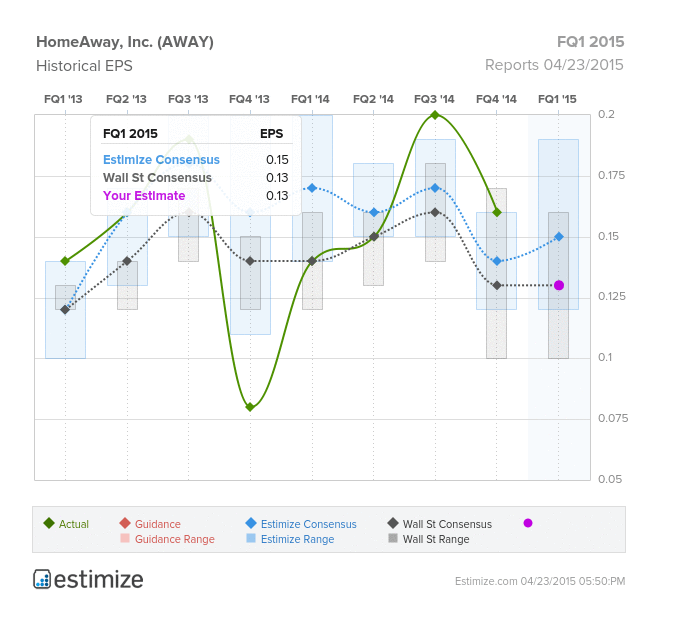 Major Wall Street research firms seem quite bullish on HomeAway. Deutsche Bank also maintains a Buy rating, while JP Morgan rates it a Neutral.